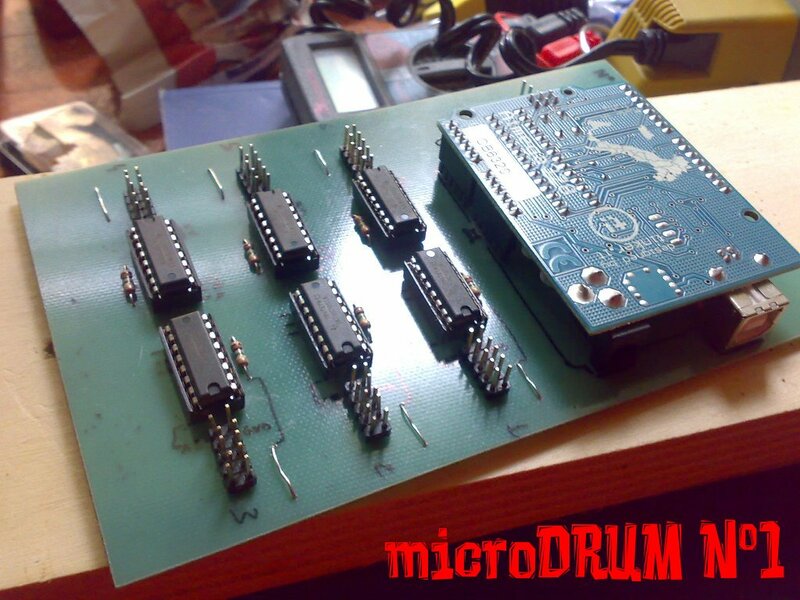 I'm working on this project, a trigger-to-MIDI inexpensive and easy to build: http://microdrum.altervista.org/blog/ . It�s based on Arduino and can be used with a huge variety of e-pads / e-cymbals, up to 48 inputs. We are writing a manual, for now it is accessible, to forum members, only the structure and some graphics. But I want to give the voice to the my creature and so I ask you some suggestions. How could I make a sampler capable of playing in parallel at least 32 wave files found on a sd card? Great project. Not sure how to play those samples in parallel, I am sure you have already seen the Wave shield over at Adafruit. I don't think that has the power that you are looking for though. I look forward to seeing more of this project as it evolves. Now that I have published I can officially say that I'm working on the first module for edrum completely controlled by an iPad! Posted: Sat Aug 20, 2011 9:35 pm Post subject: very nice.